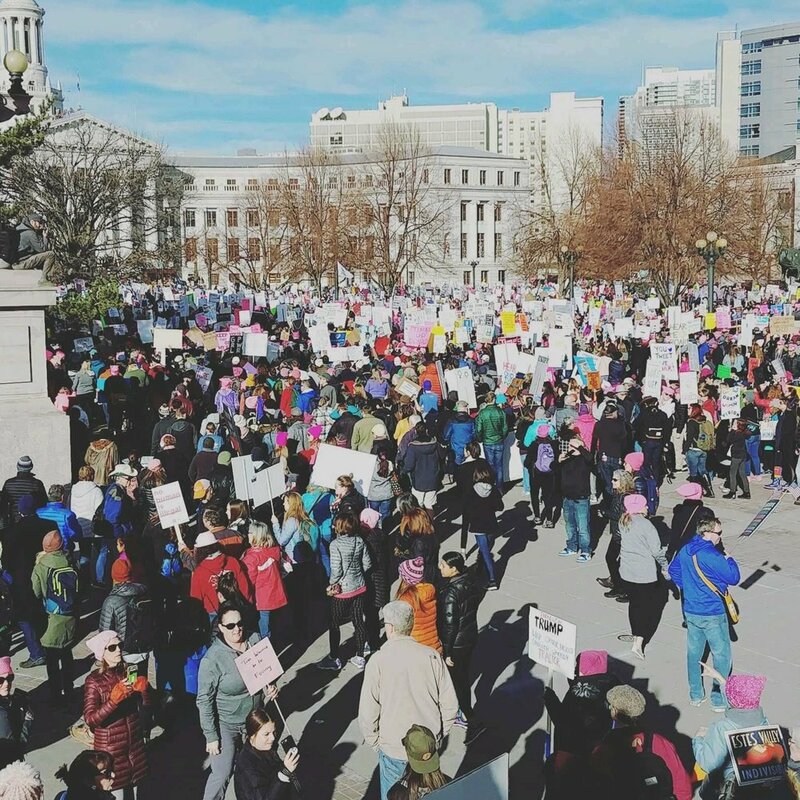 I went to the Denver Women’s March for a whole host of reasons, largely political, but truthfully, I would have attended a women’s march before the Trump presidency. Why? Because women’s rights have always been under attack. From access to contraception, to abortion, to equal pay, to rampant sexual harassment and sexual assault--most of which goes unpunished--women have consistently gotten the short end of the stick. In this respect, the March is not “about Trump.” It is, more accurately, about what many feel Trump represents. Trump’s election made it clear it is acceptable to treat women as second class citizens, racism continues to be acceptable, and homophobia is unobjectionable. Families, men, women gathered in Civic Center Park in Denver on Saturday and marched through downtown. PC: G. Carminati. Fifty three percent of white women voted for Trump. That number is indelibly seared into my memory and it should be front and center of any conversation about social change. As a white woman, I had to make peace with the reality that women are not the answer to social justice. When Trump got elected, the rest of white women, as well as women from all other races, woke up to the harsh reality that this country does not care about them. And as we turned around, disenchanted by our own fall from grace, we found brown, black, Asian, Native and LGBTQ people standing by our side who did not benefit from our white, straight privilege and had been subjected to far worse treatment. These were our allies. These are the people who we need and who need us so that together we can bring about real change. Over the past year we have built coalitions and, more than allyships, have become co-conspirators in building a better United States of America. One year later, we come back to the marches because we never left. The 2017 marches spread through every level of government and society, lighting a fire in all of us to do better and be better. We were “marching” by running for office, supporting candidates, voting, writing, blogging and speaking. While Trump epitomized why this country needs to dramatically change course, he is not the reason we march. He is a product of the system we are protesting and the system we must change.